"Shri Mataji says that Muslims, Hindus, Christians and others have to be resurrected to a higher state to understand what is actually taking place on Earth. Shri Mataji even broke years of silence last month on Easter just to remind all Her devotees that Lord Jesus and His message must be spread to the rest of humanity. But why does She keep on telling us how important it is to believe in Jesus Christ? Extremely few know the real reasons, and by that i mean Her own disciples too. And it is only through Jesus Christ can we understand the Resurrection because by being the first to provide evidence of His own resurrection, He assures us that we too will be resurrected and attain the same eternal spirit and afterlife. Thus it is crucial for all to understand why Shri Mataji regards Jesus Christ as a pivotal figure in the Last Judgment and Resurrection: "
Namaste - i bow to the Holy Spirit who resides in you! i have never come across a more enlightening talk on the heart and soul of Christianity. It is so powerful and deep that i cannot work anymore, at least for a day or two. It is just too immense, and strengthens my faith in the advent of the Divine Mother, Shri Mataji ever more. No wonder She keeps talking about Lord Jesus and His message of the Resurrection. She even broke years of silence last month on Easter just to remind all Her devotees that Lord Jesus and His message must be spread to the rest of humanity. Shri Mataji has more than fulfilled Her duty, and carried out the task assigned to Her flawlessly to the letter. But there is more to than meets the eye. Only in the thoughtless state can you get it, but cannot explain your realization. i wish all the Silence to realize the same Truth. If you don't get it today there is always tomorrow ....... or the week after, or ...... month after. All i can say is that we are all verily meditating worshipping the same God Almighty and His Holy Spirit. 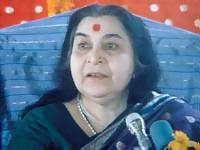 Shri Mataji says that Muslims, Hindus, Christians and others have to be resurrected to a higher state to understand what is actually taking place on Earth. Shri Mataji even broke years of silence last month on Easter just to remind all Her devotees that Lord Jesus and His message must be spread to the rest of humanity. v) The Qur'n proclaims that Lord Jesus will be the Sign of the Hour i.e., the commencement of the preordained Resurrection. I am Alpha and Omega, the beginning and the end, the first and last. For without are dogs, and sorcerers, and whoremongers, and murderers, and idolaters, and whosoever love and makes a lie. I Jesus have sent mine angel to testify unto thee these things in the churches. And the Spirit and the Bride say, Come. And let him that hears say, Come. And let him that is athirst come, and whosoever will, let him take the Waters of Life freely. Spirit - GOD-ALMIGHTY, SADASHIVA, ALLAH, YAHWEH — THE FATHER. Bride - HOLY SPIRIT, ADI SHAKTI, RUH, SHEKINAH — The Mother. Among Dowling's manuscripts there was one called"The Cusp of the Ages" describing the transfer of dominion from the Piscean Age to the Aquarian Age. 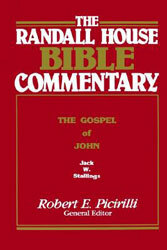 It was published by Eva S. Dowling in the introduction to this gospel. Here is the description of the new era. "This age will be an age of splendour and light, because it is the home age of the Holy Breath; and the Holy Breath will testify anew for Christ, the Logos of the eternal Love. At first of every age this Logos is made manifest in flesh so man can see and know and comprehend a Love that is not narrow, circumscribed.” "
Dan Costian, Bible Enlightened, Computex Graphics, 1995, p. 259-61. So as you worship Ganesha, you must worship Christ in the same manner for all those who worship Ganesha. I have seen that Hindus, they're stuck to Ganesha and Christians are stuck to Christ. Even after coming to Sahaja Yoga they carry those traits. Ganesha is all right up to a point and then it is important that we must pray to His Incarnation that is Christ. A few years later on July 10 1998 at 3:50 p.m., after Kash's eight-year-old brother Arwinder Singh had returned from Victor-Thérien school, he was shown the color photograph of Lord Jesus from the Mormon Bible (see photo above). Arwinder, at the age of five had met the messengers of God hundreds of times in the Kingdom of God (Sahasrara Chakra) within. Among these Divine Beings was Lord Jesus Christ. After Arwinder had a good look at Lord Jesus he was questioned. Question: "Arwinder, this man, His name is Jesus Christ. He did not understand the meaning of language and was explained so. The fact that Shri Jesus spoke with the other Divine Beings in Sanskrit will profoundly enlighten those who contemplate in silence the sheer depth of this Revelation. He is part and parcel of the Sanatana Dharma, even claiming to have existed before Abraham, a declaration not taken lightly by fellow Jews. v) The Qur'n proclaims that Lord Jesus will be the Sign of the Hour i.e., the commencement of the Resurrection. Note: According to the Merriam-Webster Online Dictionary sign means"A discernible indication of what is not itself directly perceptible. Sign applies to any indication to be perceived by the senses or the reason.”Thus Surat az-Zukhruf 43:61 indicates that the Resurrection, which is already taking place, is not perceptible to most humans. The only way the commencement of the Resurrection can be perceived is either by the senses (feeling the Nafas al Rachman, the breath of the Merciful i.e., Winds of Qiyamah flowing from the body - especially the hands, top of head and legs) or by reason (confirming with heart, mind and soul the declaration of the General Resurrection (Al-Qiyamah) to all humankind), or far better by both sense and reason. That is exactly why the Holy Qur'n warns that most humans will be unaware that is the Resurrection is taking place (surah 30:55-60 Al Rum), and that includes most Muslims! So what is the Ummah awaiting but for the Hour of Doomsday to come upon them suddenly? The Signs that the End is approaching have already come. What good will the Reminder that Al-Qiyamah—Al Qadr (Night Of Power And Fate)—has begun be to them when Doomsday—Al Qari'h (The Day Of Noise And Clamour)—does arrive? "25 These things have I spoken unto you, being yet present with you. "Today we are celebrating the resurrection of Christ. With it we also have to celebrate the resurrection of human beings, of Sahaja Yogis, who have been resurrected as realised souls. With that we have to understand that we enter into a new awareness. He had to come down and again to show to this world that you are the eternal life, that you lead a life that is spiritual, which never perishes. You have to rise, into that new realm, which is the Realm of God Almighty, what you call the Kingdom of God. "Jesus solemnly assures the disciples that they will, in the future, perform even greater miracles than He. By this He means to say that through the power of the Holy Spirit, they will bring about the greatest miracle of all—the salvation of lost souls. He promises them that whatever they ask for, in connection with their ministry of bringing the miracle of salvation to lost men, will be granted them. C. Matthews, Sophia: Goddess of Wisdom , Aquarian Press, 1992, p. 135. Joseph Cardinal Ratzinger, Catechism of the Catholic Church, 1994, p. 64. Shri Jesus promised humankind that He will send the Comforter who will explain all that was taught by Him. In order to do that He had to send someone divine, and backed by irrefutable proof for all humankind to examine. 1. glorified Jesus to all humans, irrespective of race, religion or creed — "Will glorify me" (John 16.14). 2. borne witness that Shri Jesus must be accepted and there is no salvation without Him —"Will bear witness to me" (John 15.26). 3. has warned that He will be incarnating as Shri Kalki during the second Coming —"Will convince the world concerning sin because they do not believe in me" (John 16. 8-9). 4. has enlightened the seekers of the deep esoteric parables of Jesus and the mystic Kingdom of God —"Will take what is mine and declare it to you" (John 16.14). 5. has awakened humanity to the true teachings of Jesus, teachings that are still beyond their present comprehension —"Will bring to your remembrance all that I have said to you" (John 14.26). Shri Jesus Christ promised that He would ask God Almighty to send a future Comforter whose primary duty would be to"make all mysteries known — The mysteries of the soul, of life, of death, of immortality, the oneness of man with every other man, and with his God.”That is precisely what Shri Mataji Nirmala Devi has done. Shri Adi Shakti: The Kingdom Of God records overwhelming, unassailable evidence that She is that Comforter sent to explain all mysteries, and lead the believers during the Resurrection —"before the great day of the Lord shall come" (Second Coming). All i can say is that we are all verily worshipping and meditating on the same God Almighty and His Holy Spirit/Shakti/Ruh within. 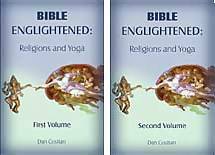 Just like the Adi Shakti, Jesus Christ too is entrenched in the Holy Scriptures of Hinduism, Judaism, Christianity and Islam. It is only with the advent of the Adi Shakti that we have found out how humans have corrupted the religions over the centuries. So enter in through the Gates of the City (Kingdom of God) within yourself to seek and meditate on God and His Spirit for without are dogs, sorcerers, whoremongers, murderers, idolaters, and whosoever love and makes a lie. In others words, there is no hope of salvation in the corrupted churches, mosques, synagogues, temples and gurdwaras. Amen.